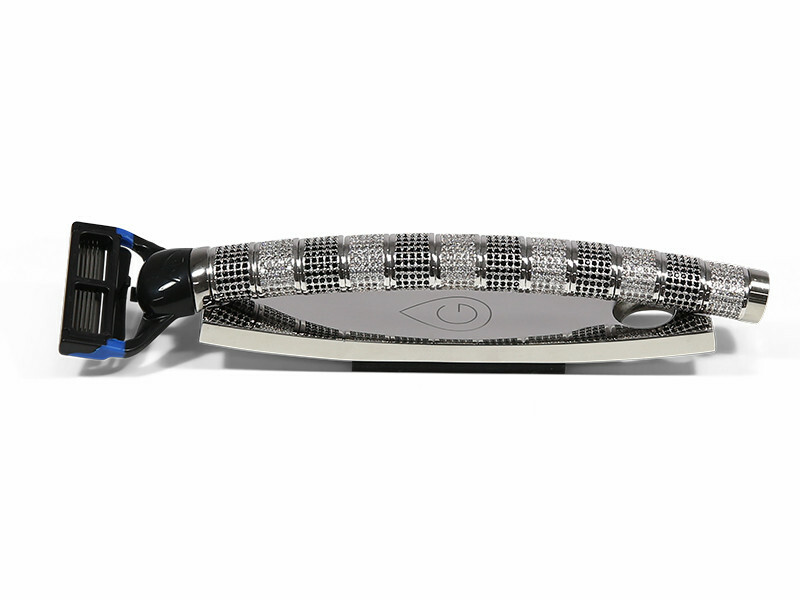 This razor consists of 6 small black and 6 small white Zirconia Beads. Each Bead contains 125 Zirconia stones, put in a brass base fixed in a white gold plated grid. Each stone is put in the grid by hand. 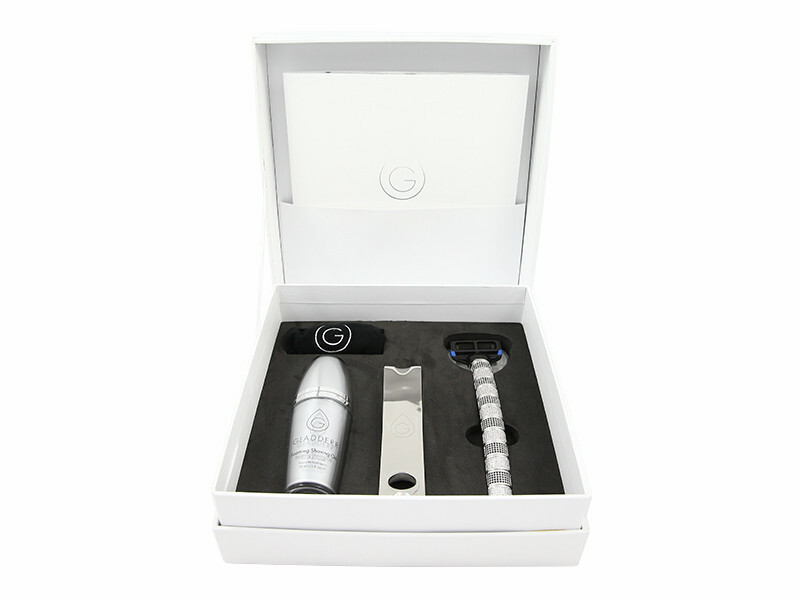 The razor is wrapped in the Luxury Box including 2 shaving cartridges (1 for face and 1 for body) and a travel pouch. 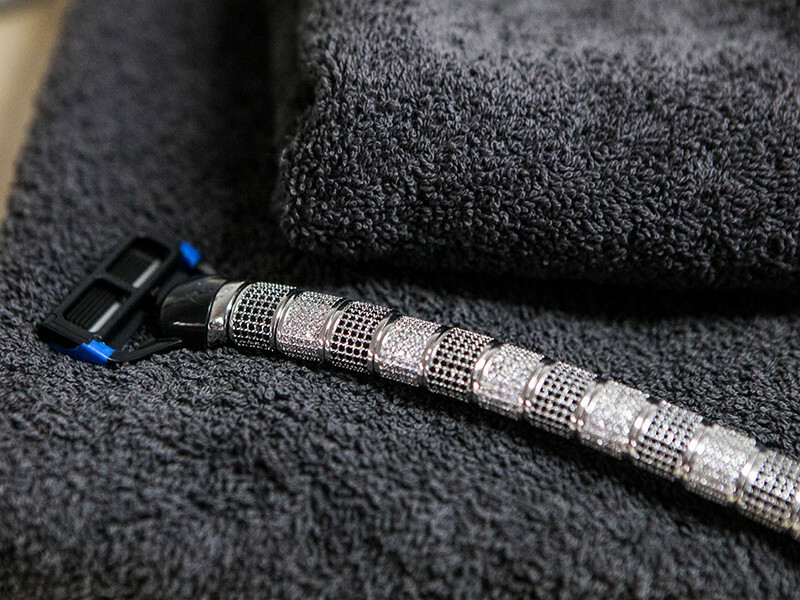 The razor with the Bathroom Stand in the Exclusive Gift Box. This box contains as an offer a 30ml bottle of Foaming Shaving Oil, worth € 14.95. The razor in the Luxury Box and the Wall mount separately wrapped. Our exclusive razors are handmade of the highest quality surgical stainless steel. The production of one individual razor takes several days of craftsmanship.